Mother Nature has gifted Goa with immense beauty and natural marvels. The tiny state is also dotted with some picturesque Lakes. Find here the useful info on the important Lakes of Goa. The Corambolin Lake lies just east of Old Goa. It is a popular hangout spot for most locals and visitors in the state. The lake is the home to many types of birds. Birds like Egrets and Heron, Bronze-Winged, Pheasant-Tailed Jacana and Comb Duck and Cotton Pygmy-Goose are commonly spotted at the lake. Close to Carambolim is the Ciba-Geigy Chemical-Works which has created a pleasant nature reserve. Here you may sight Open-billed storks, Purple and Grey Heron, Little Cormorant and Marsh Harriers. This lovely artificial lake is situated at Mayem in Bicholim taluka of North Goa. 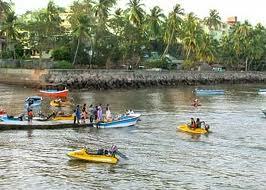 It is at a road distance of only 35 km from the capital of the state Panaji. It is a very popular picnic spot of Goa. The Mayem lake is surrounded by lush greenery and high hills. Boating facilities are also available at the lake. A visit to the lake gives you an opportunity to peep into the rural life of the state. Good cottages are available for accommodation near the lake, hidden in the wooded slopes.